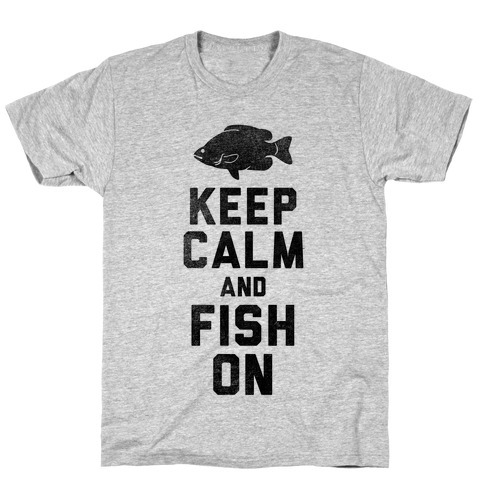 Browse our collection of 59 Keep Calm T-Shirts and more. Designed and printed in the USA. 100% Satisfaction Guaranteed. About this Design Get ready to party this summer by drinking out of mason jars and hanging out by the bonfire because you're a country girl that love to keep it country. 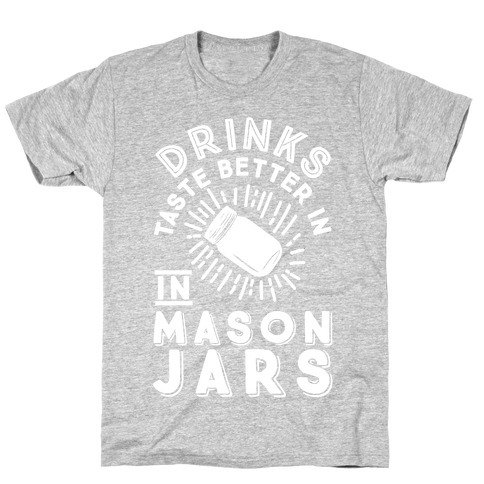 Enjoy your summertime plans in this country design that says "Drinks Taste Better In Mason Jars". Get ready to party this summer by drinking out of mason jars and hanging out by the bonfire because you're a country girl that love to keep it country. Enjoy your summertime plans in this country design that says "Drinks Taste Better In Mason Jars". About this Design Don't let that fancy wine hit your cup. 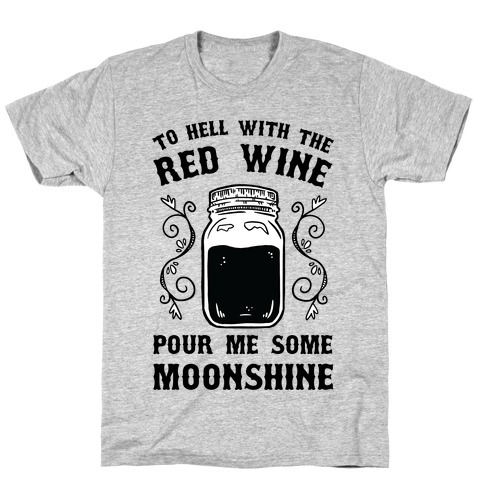 Keep it real, and country, when you start sipping moonshine. Especially when you've got that moonshine right out of a mason jar, just like it should be. So put those wine glasses away, get on your boots and head over to the nearest place you can get a good bottle of 'shine. Don't let that fancy wine hit your cup. Keep it real, and country, when you start sipping moonshine. Especially when you've got that moonshine right out of a mason jar, just like it should be. So put those wine glasses away, get on your boots and head over to the nearest place you can get a good bottle of 'shine. About this Design No matter how far apart you are, you've always got his back. 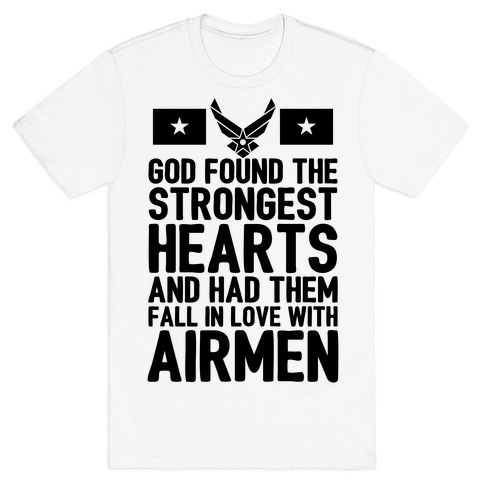 Whether you have a loved one serving in the Army, Navy, Air Force, or Marines, keep this military design close to your heart, and show your love for your hero. No matter how far apart you are, you've always got his back. 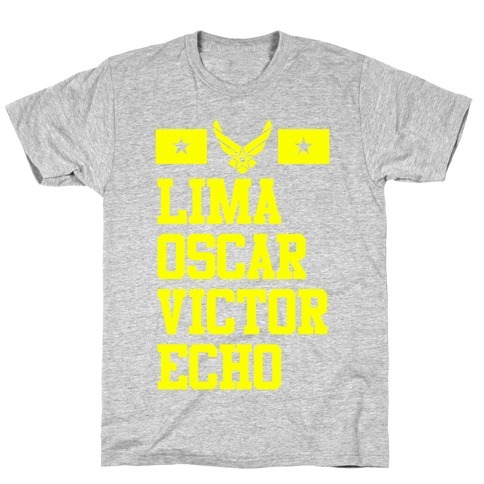 Whether you have a loved one serving in the Army, Navy, Air Force, or Marines, keep this military design close to your heart, and show your love for your hero. 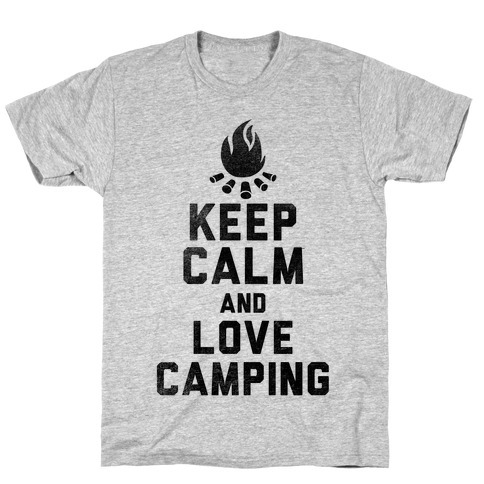 About this Design Keep calm and love camping! 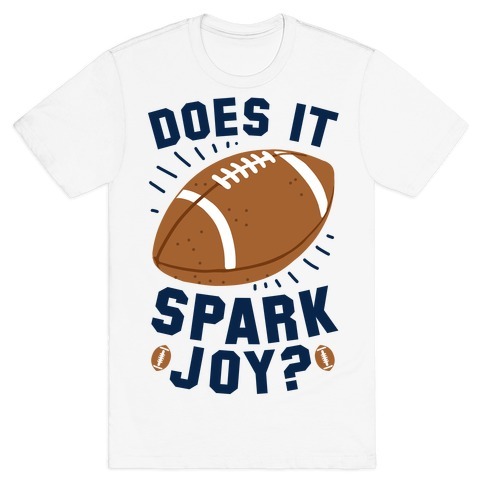 Camp out and light up that bonfire with this great outdoorsy shirt! Keep calm and love camping! Camp out and light up that bonfire with this great outdoorsy shirt! 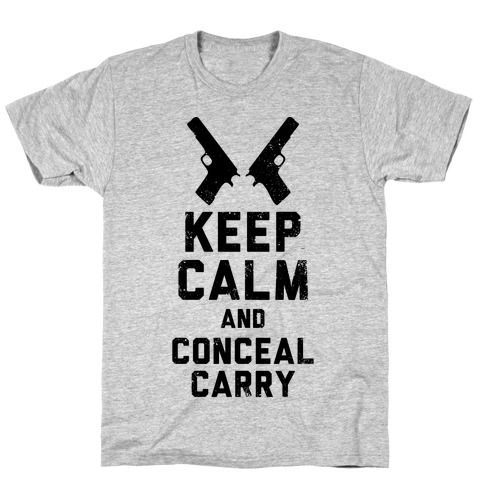 About this Design Keep calm and conceal carry! Protect yourself and the people around you with your right to keep and bear arms, and show some love for the second amendment with this shirt! Keep calm and conceal carry! Protect yourself and the people around you with your right to keep and bear arms, and show some love for the second amendment with this shirt! 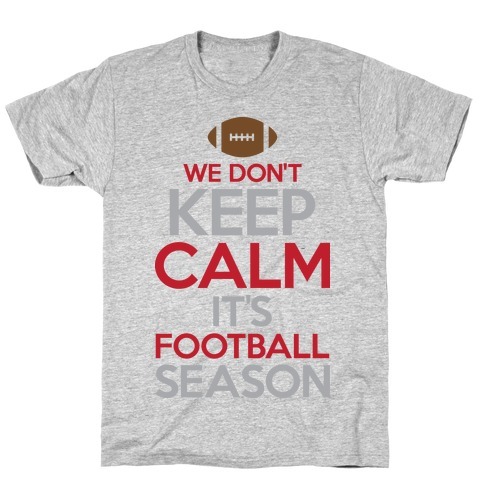 About this Design Anybody who is a true fan of football knows that the football season is no time to be calm. 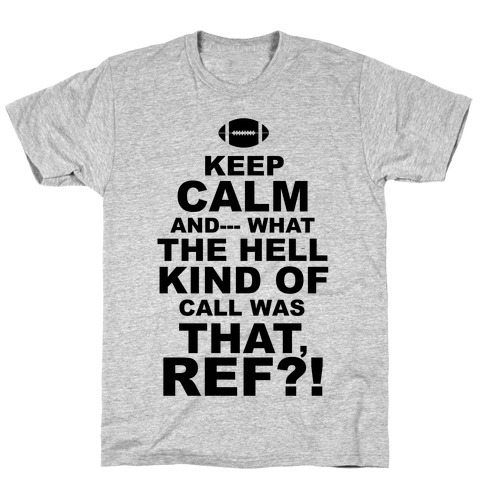 Tear the house down with this awesome and shirt. 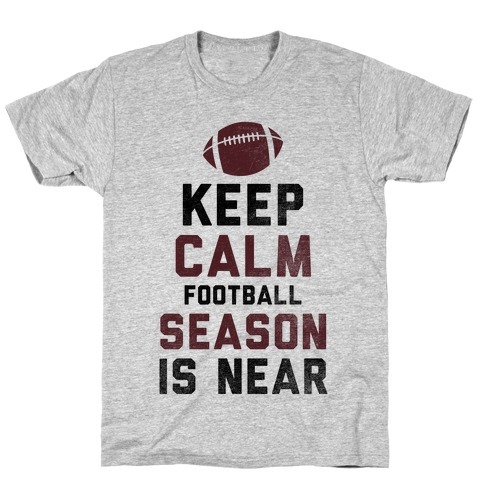 Anybody who is a true fan of football knows that the football season is no time to be calm. Tear the house down with this awesome and shirt. About this Design Don't confuse your rank with my authority, I'm a Military Girlfriend! Keep those other soldiers at bay with this bold and sassy, military girlfriend shirt! Don't confuse your rank with my authority, I'm a Military Girlfriend! Keep those other soldiers at bay with this bold and sassy, military girlfriend shirt! 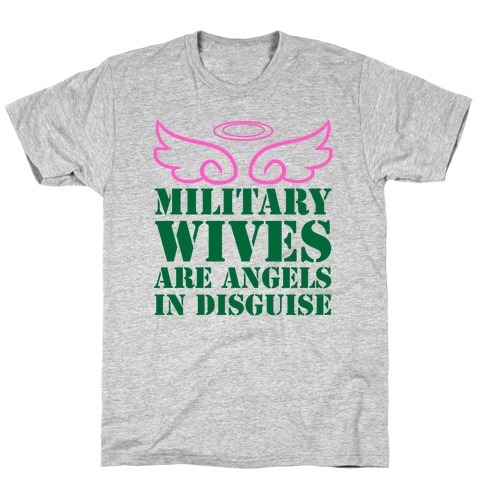 About this Design Military wives are just angels in disguise. We're here to pray for our heroes and our hearts are with them every day to keep them safe and sound. Military wives are just angels in disguise. We're here to pray for our heroes and our hearts are with them every day to keep them safe and sound. About this Design This shirt is perfect for the celebration of marriage equality for all! No matter what sexuality you associate with what is important right now is that we keep on partying! Equality for all, and get ready for a drunk and happy America! 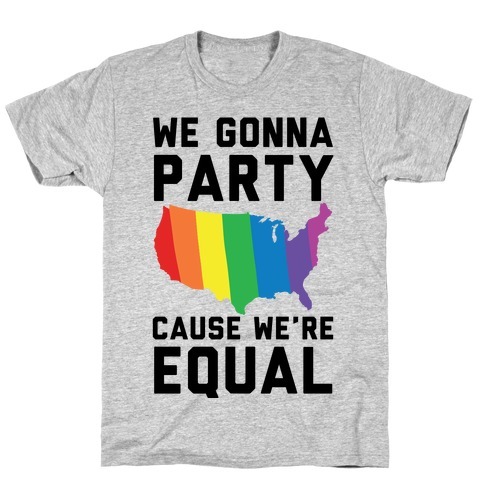 This shirt is perfect for the celebration of marriage equality for all! No matter what sexuality you associate with what is important right now is that we keep on partying! 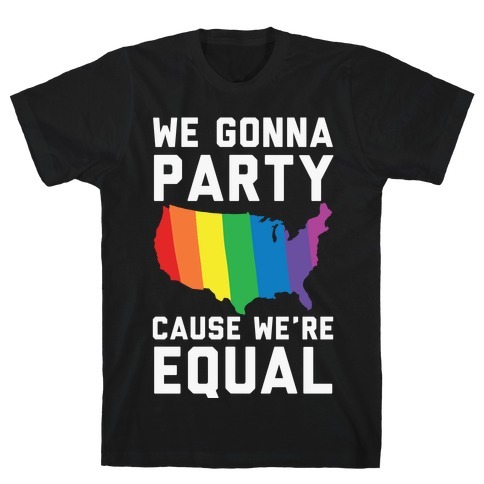 Equality for all, and get ready for a drunk and happy America! About this Design This 4th of July, celebrate America in calm, cool, and collected style with this "America Is Cool I Guess" patriotic design! Perfect for a July 4th cookout, independence, patriotic , Merica pride, and America ! 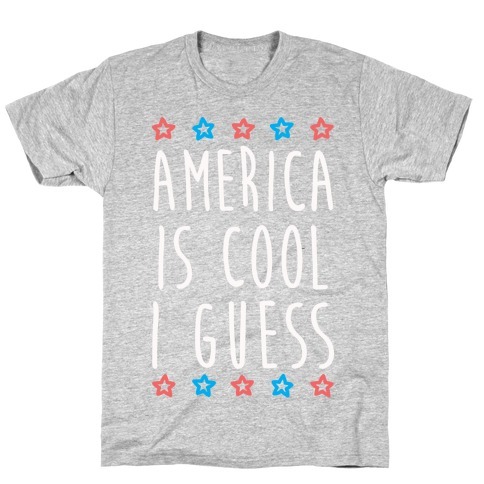 This 4th of July, celebrate America in calm, cool, and collected style with this "America Is Cool I Guess" patriotic design! Perfect for a July 4th cookout, independence, patriotic , Merica pride, and America ! About this Design This patriotic shirt features the American flag and the words "a pledge a day keeps the commies away" and is perfect for people who love patriotic shirts, 4th of July, independence day, freedom, America, the USA, and is ideal for showing your patriotic American pride while getting star spangled hammered at a fourth of July barbecue or just hanging out with friends! 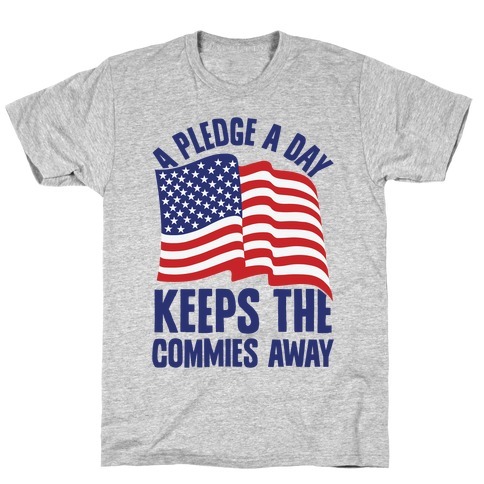 This patriotic shirt features the American flag and the words "a pledge a day keeps the commies away" and is perfect for people who love patriotic shirts, 4th of July, independence day, freedom, America, the USA, and is ideal for showing your patriotic American pride while getting star spangled hammered at a fourth of July barbecue or just hanging out with friends!